Wynn brought up the testimony of Daniela Ramirez who worked for Carlos Arguello. Arguello is now a convicted felon who ostensibly had a joint marketing agreement with Jon Woods. Woods is charged with reckless disregard for the law which prohibits accepting incentives, kick-backs, services, and inducements for giving business to a service provider in exchange for orders. Daniela testified that there were no storage, scanning, shredding, or field reps provided to Jon Woods. She testified there was no agreement requiring Woods to use C&E Technology (Carlos & Edgar Technology) and Professional Documents Management. Richard Wynn read from the transcript. Richard Wynn: Were you ever led to believe there was such an agreement? She testified there was no agreement for work orders with Woods. All subpoenas required the lawyer’s approval. Woods’ firm prepared the work orders. Wynn pulled testimony from Carlos Arguello, who spent more than two days on the stand. Carlos Arguello: I recommended the service only. Using a service… I own it… I would appreciate it. Wynn summarized that the testimonies universally expressed that the attorney can use the copy services at will. There was no conspiracy to use PDM (Professional Documents Management). If an attorney wants to, he-she can continue using it. Dulce Gallegos, who worked in the call center in Tijuana, testified that the lawyers were not required to use C&E Technologies and Professional Document Management. Richard Wynn argued that the People have feeble evidence which is weak and unsupported. It is based on assumptions, suspicions, and guess work of internal emails and reports. Richard Wynn: Where is the meat and potatoes? Why does the DA avoid discussing all the admissions made by her witnesses? It’s a lot of smoke and mirrors. Why is Mr. Woods here? 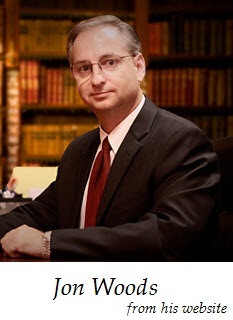 He’s a successful attorney in fighting wrongfully denied claims. Would Woods be here if he lost those 957 denied claims? Woods is here because of the 17 insurance companies. They can’t win at the WCAB trials, lien trials, or board complaint. The State Bar complaint was to take Woods’ license. Richard Wynn went on to declare the insurance companies are asking the Orange County District Attorney to do its dirty work. Insurance companies want injured workers to be stranded. It’s not an even playing field. They need to take Mr. Woods and his firm out of the system. Richard Wynn: Here are 15 brave warriors. They were minding their own business but when they received that summons… they took to action to bear arms. Now they are sitting here every day. We really appreciate you coming here every day. Now, they go back into chambers to deliberate, to protect working people. Insurance companies know they cannot play this game.